Launching a company is challenging and launching in the education sector is even more complex. We exist to help you succeed, so together we can create better education opportunities for all children. "LeanLab has been a game changer for H3! 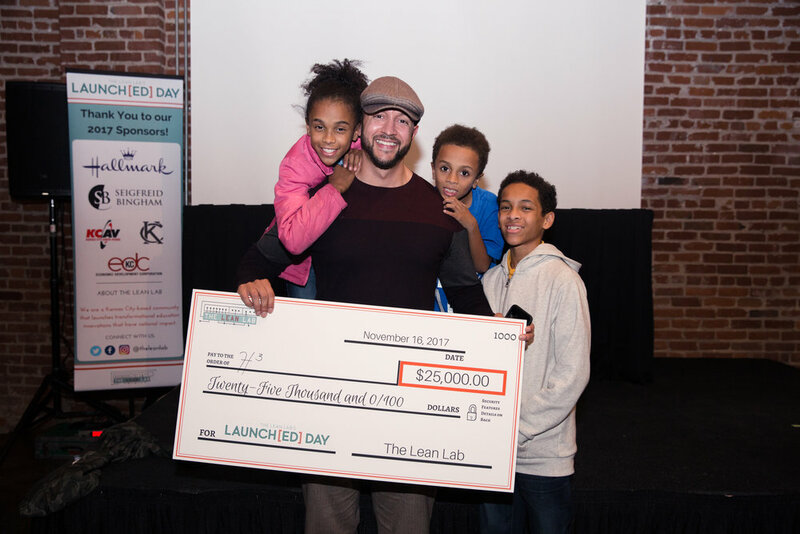 The LeanLab team is truly engaged and passionate." What makes the Fellowship unique is an explicit focus on K12 education entrepreneurs. We know launching a startup is hard, and the education market presents founders with uniquely complex challenges. Our expertise in K-12 education and network of local connections and beta sites, means we can offer more specific and actionable mentorship, warm-leads and meaningful connections with an engaged community of parents, students, teachers, and administrators. The selective, application-based, program occurs annually and attracts aspiring education entrepreneurs from across the country. Fellows attend three mandatory, in-person summits spanning from August to November with remote design sprints and pilot tests with partner schools and organizations in the interim. Program content is delivered through a rigorous curriculum designed by one of our partners, Village Capital, and modified to integrate LEANLAB’s Theory of Change. To best serve the fellows admitted to the program, we limit the quantity of fellows to 5-7 founding teams. Above all, we’re seeking founders creating solutions that align to the most pressing problems in education in our community. We distill those needs from our Kansas City community through an annual Listening Tour, our community meetups, and through analysis of districts’ strategic plans. The needs are then detailed in our annual white paper. Does your past experience lend itself to the venture you’re creating? Do you have significant leadership experience as an entrepreneur, manager and/or educator? If the venture is technology based, does your team include a technical co-founder? Do you as the founder or do members of your team have authentic, lived experience of the problem you’re solving for? Have you exhibited a commitment to launching your solution? Are you working full time on your venture, or do you have a plan to be able to fully dedicate yourself to the venture in the near future? Does your solution align to identified needs in the Kansas City K-12 landscape? Are these needs reflected in the 2018 Request For Startups? Does your solution address a pressing and urgent problem for parents, students, teachers, or administrators? If asked, would your customers or users identify the problem as a serious barrier? Does the solution you’re creating empower its user, alleviating their time and allowing them to be more efficient, creative or focused? Does it elevate the status of educator/parent/student/administrator and augment their practice, rather than work to automate it? Would the solution, at-scale, work to close the gap between 'haves and have-nots' versus widening it? Can the solution be effectively scaled for maximum impact? Is your solution novel, creative, and distinct from other offerings? Do you have a favorable or superior business position compared to existing or potential competitors? Or could existing dominant brands/new entrants easily replicate the proposed solution and win the market? Do you have an existing prototype that can be interacted with by our school beta site partners? What evidence do you have that your solution works?